We want you to shop with confidence. Our financial transactions are handled by the secure platform of Paypal with SSL certification. 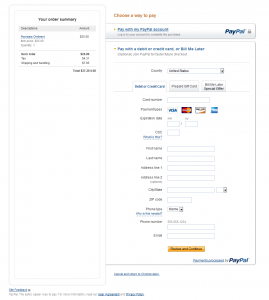 Please pay attention to the https when you are routed to PayPal for payment. You can pay using your PayPal account or your credit card. 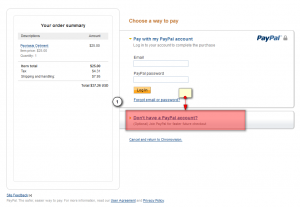 If you do not have a PayPal Account, click on “Don’t have a PayPal Account” link and you will be asked to use your MasterCard, Visa, Discover or AmericanExpress. All transactions are secure.